The 2019 Appropriation Bill is scheduled to be presented in Parliament by Minister of Finance Mangala Samaraweera. The Cabinet of Ministers last month approved the 2019 Appropriation Bill. According to the Cabinet-approved Appropriation Bill, the state expenditure will be 4,470 billion rupees in 2019. The Ministry of Finance announced that the government through the 2019 Budget has allocated 2,200 billion rupees for debt servicing. According to the Ministry, the amount is the highest; a government in the history of Sri Lanka is compelled to bear for debt servicing. The recurrent expenditure includes 1,425 billion rupees while the Capital expenditure will be 838 billion rupees. According to the Bill, the 2019 budget deficit will be 4.8% of the GDP. The State revenue which was 11.5% of the GDP in 2014 is expected to be increased to 15% of the GDP this year. The Finance Ministry said the 2019 National Budget is prepared under the Medium Term Fiscal Framework by adopting the performance based budgeting approach with the aim of strengthening the on-going fiscal consolidation programs. The government is also aiming to achieve the target of increasing the State revenue to 17% and limiting the recurrent expenditure to 15 percent of the GDP in the year 2021. 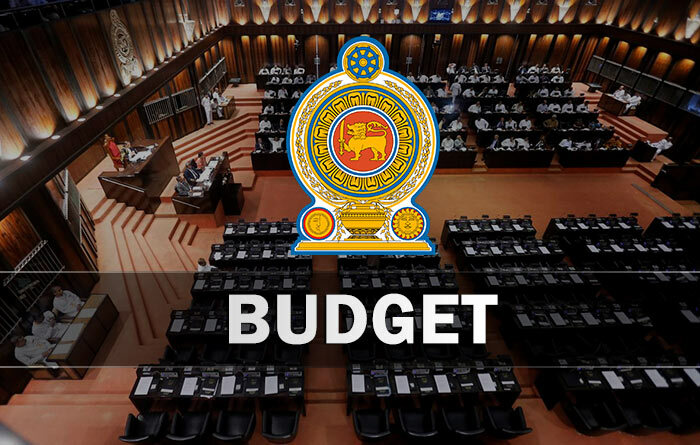 The second reading of the Budget or the Budget Speech will be presented in Parliament by Minister of Finance and Mass Media Mangala Samaraweera on the 5th of March. The third reading of the Budget or the Committee Stage Debate will commence on the 13th of March. The final vote on the 2019 Budget proposal will be held on the 4th of April.